Some pretty pins to start the week. 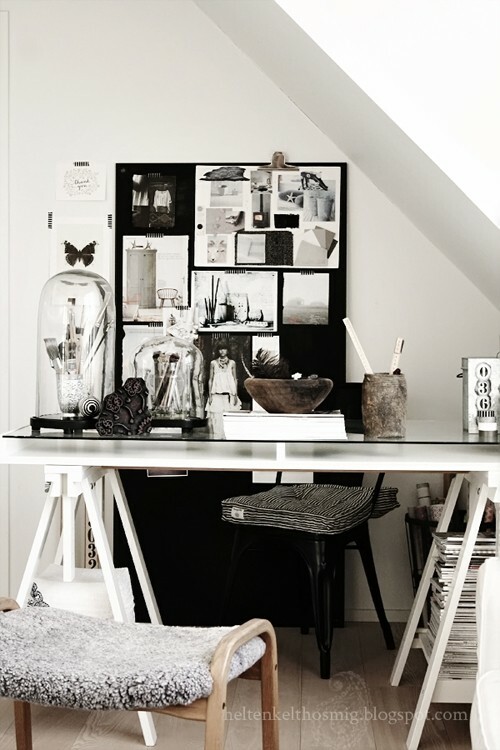 Loving these workspaces that have wonderful storage...some of it from Ikea no less. 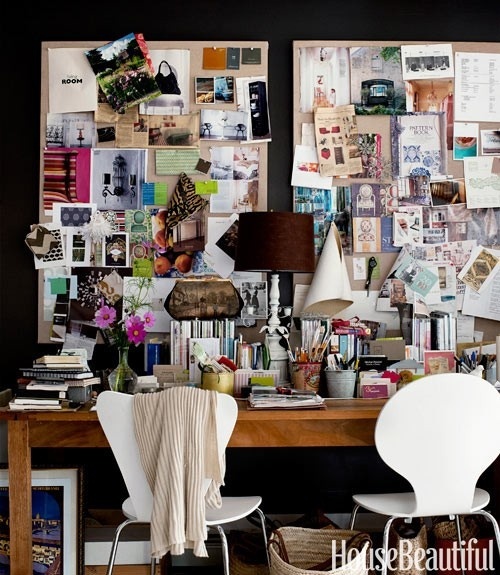 Very feminine with lots of inspiration boards and books with files and businessy things tucked away. I also like the tables with the sawhorse legs which I also did in my own studio. They look pretty well perfect to me! 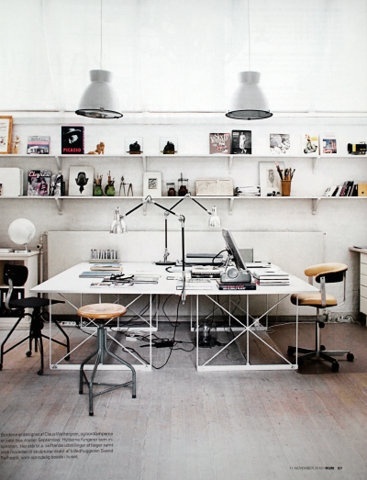 I am always finding great workspaces that inspire me and I have decided to do a little office refurbishing in my own space. My office is in my home and even though it is very pretty there is way too much furniture going on in there. I am going to have to redo the room to be more efficient and organized. I have files in boxes, samples laid out on the bed in the room (a tempting place to have a nap on long days) and fabric in plastic bags. 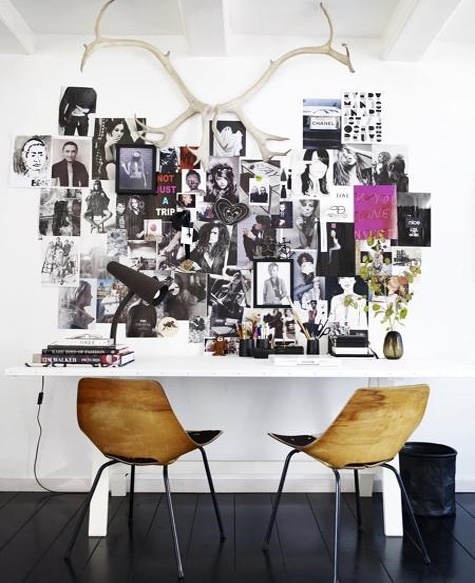 I want to do one wall as an inspiration board. I have seen a few good ideas of how to do this simply and easily (check out the idea of creating borders with removable tape). 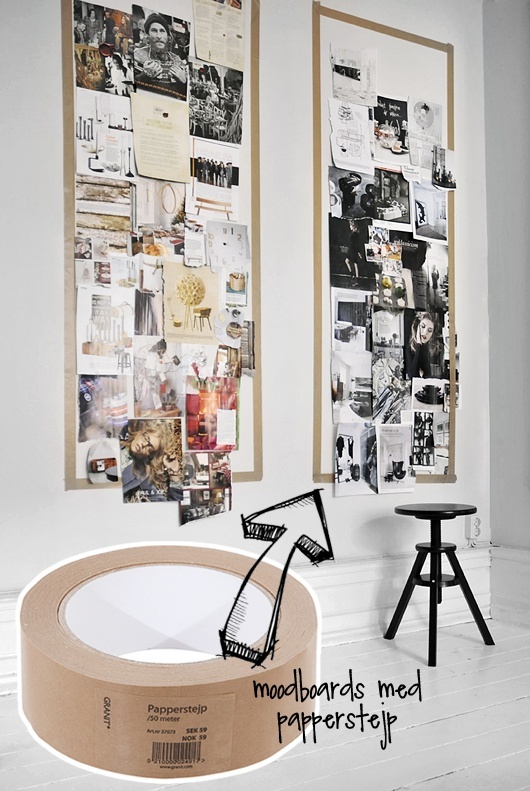 I also want a more beautiful and stylish chair than I have currently and two gorgeous hanging pendant lamps above the desk. I have two barn lamps that I think will look really great. 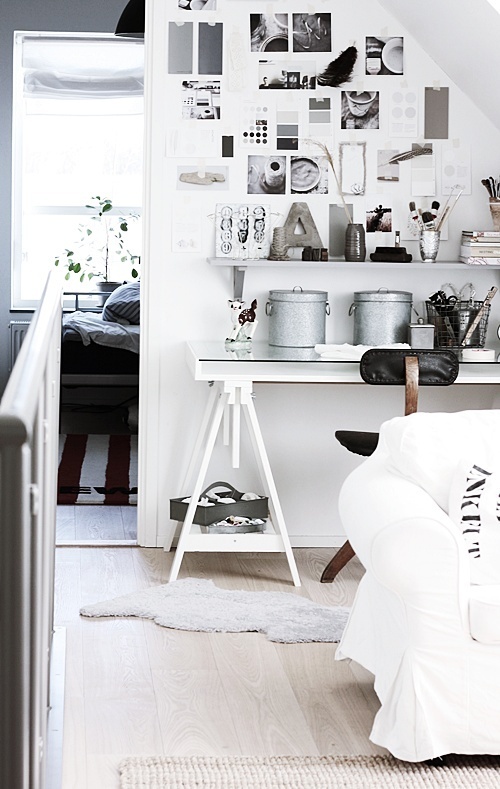 I have shown you a few offices before (here) but below are a few new photos that I love and that are sure to give me the inspiration I need to get started!